Mouth sores or canker sores are painful lesions in the mouth, and can have a significant effect on the way you eat, chew, or even speak. Mouth sores that do not go away after a long period of time should be seen by a dentist, but here are a few ways that you can do in the comfort of your own home to hasten the healing process. 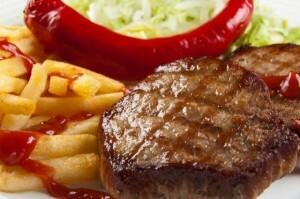 Eating too fast can lead to biting the inside of the mouth; the resulting lesion may develop into a mouth sore. Slowly chewing on food can help you avoid biting the inside of your mouth. Food items you are allergic to can cause mouth sores, and should be avoided. Spicy and highly acidic food items (such as citrus fruits) may also cause a reaction inside your mouth that triggers the development of mouth sores. Look for antiseptic over the counter products specifically geared towards healing mouth sores to alleviate the symptoms and discomfort. mouth sores. The trauma from vigorous tooth brushing may even be the start of these painful lesions. Brush your teeth using gentle strokes to avoid making the problem worse. Gargling with a warm saltwater solution can hasten the healing process for mouth sores. Baking soda mixed with water is also known to reduce the acidity inside the mouth, making the sores heal faster. 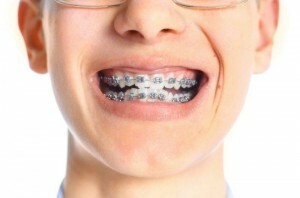 The metal parts on orthodontic braces can cut the skin on the inner lining of the mouth, and can cause mouth sores. The same goes for dentures that have become ill-fitting. Ask your orthodontist or dentist for help in adjusting your dental appliance to avoid irritating the inside of your mouth. 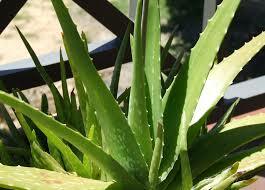 Using a cotton swab, dry the mouth sore first before applying a small amount of aloe vera gel (from the aloe leaf). Stress can cause canker sores to form inside the mouth. Try to relax and avoid stressful situations to avoid getting these painful sores.